Ya gotta have a good topping for your ice cream, right? Or your pancakes, or some cake! This would make an excellent topping for cheesecake, too! 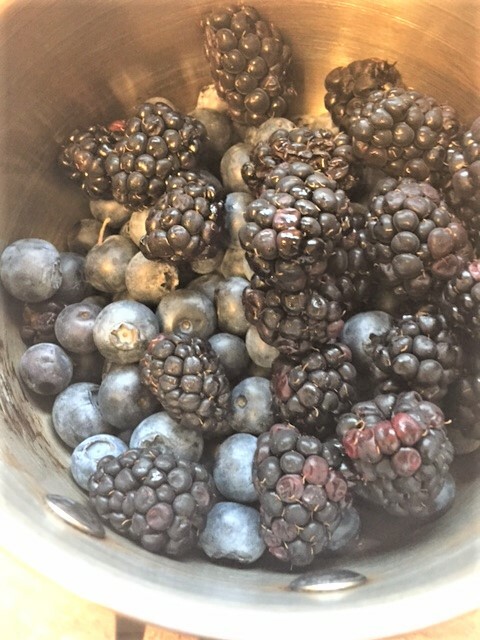 This is a quick and easy topping using two berries…..blackberries and blueberries. You could even throw in some raspberries. The last time that I made this, I added some peaches. Peaches and blueberries go really well together. I have included a picture of that also. So, whenever I go to Oregon, there is an ice cream served at one of the casinos…..Huckleberry ice cream. I can’t find huckleberries here, but they tell me it’s a cross between a blueberry and a blackberry. So, the closest I can come, is to combine the two berries. It works. 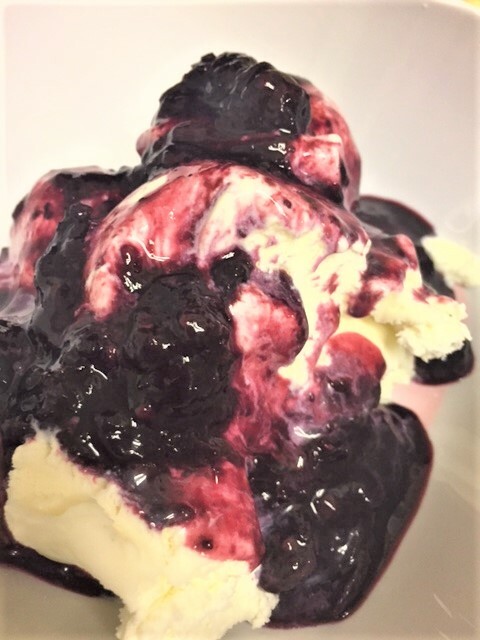 I made some ice cream awhile back using the two berries and it sure tasted like the huckleberry ice cream that I had in Oregon. 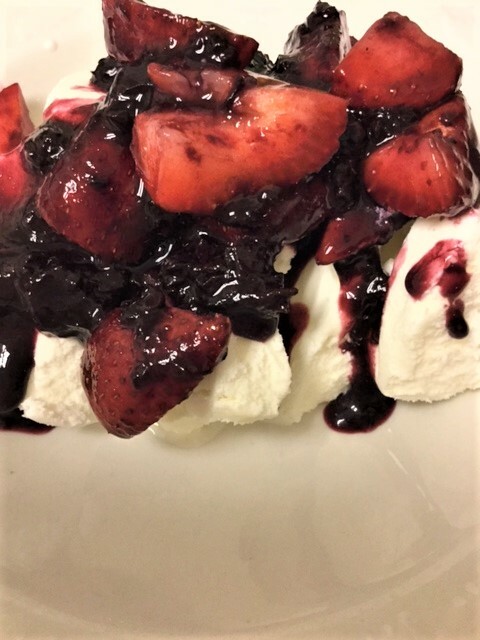 Ok, back to this topping…..my semi huckleberry topping. This is really quick and you can mash up your berries or leave them chunky. As you cook them, they will break up, so you really don’t have to mash them at all. If you just want a syrup, just put the cooked berries in a food processor and pulse it until it’s nice and thick. You could even strain it, so that you have just the syrup. 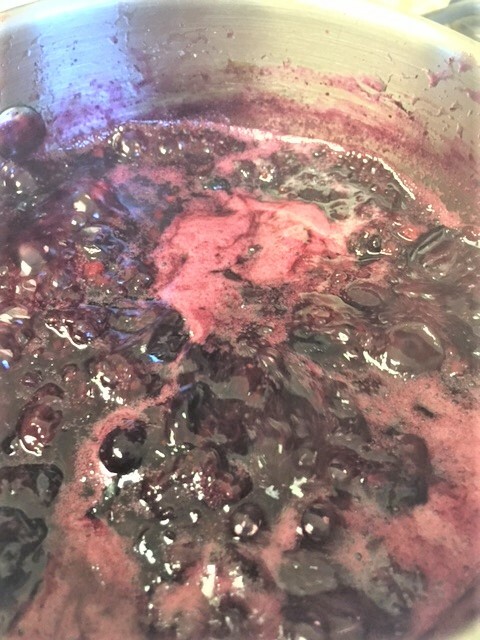 Pour the berries into a saucepan. 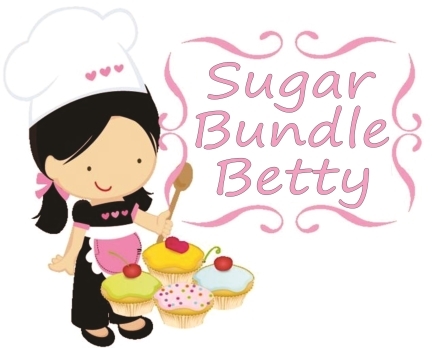 Add the water and the sugar. Turn the heat on medium. Give it a good stir. When it starts bubbling, turn the heat to a simmer. As the berries heat up, they will get soft and start breaking up. You can mash them up at this point too if they aren’t breaking up on their own. Let them bubble away for about 15-20 minutes, stirring occasionally so they don’t burn. Remove from heat. They will thicken up as they cool. Now the fun part……eat it!